Developed by Rockstar Games, Grand Theft Auto V is one of the best-selling video games of all-time, managing to sell over 80 million copies in just under 4 years, which is quite a feat to say the least. Considering the franchise’s popularity, we’re not surprised at all. When Ubisoft unveiled Watch Dogs, GTA-like experience was the first word that came to our mind, except for the hacking capabilities. Although players won’t be able to hack cars, traffic signals, bridges and phones like Watch Dogs, GTA V lets you play as three different criminals and you can even decide the mission that you want to play. Similar to the Chicago setting in Watch Dogs and San Francisco setting in its sequel, players will be entering the huge open-world of Los Santos and Blaine County to risk everything in a series of daring and dangerous heists that keep them engaged throughout the game. 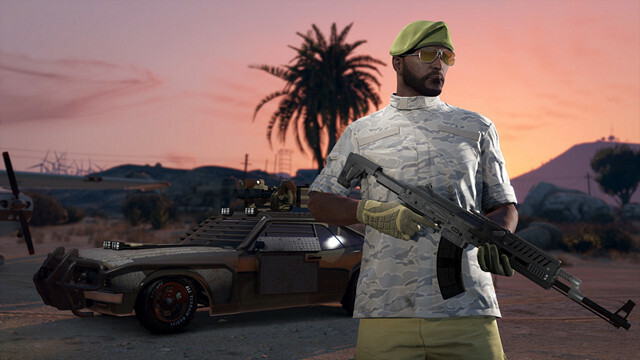 There’s even an multiplayer component called GTA Online, that allows up to 30 players in the same map, where players will be able to travel and interact at their will as well as take part in many activities, including assaulting local gangs, robbing banks, complete jobs, and much more. 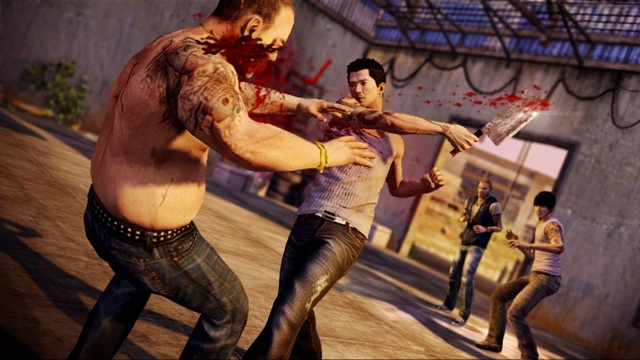 Sleeping Dogs is a similar open-world action-adventure video game that keeps the players engaged throughout the entire game. You’ll be playing as Wei Shen, an undercover cop whose task is to infiltrate the dangerous Triad organization and destroy them from the inside, without blowing your cover. Although the game is open-world, some areas in the map will remain inaccessible until certain milestones in the story are achieved. Players will be able to participate in casual activities such as street racing, car-hijacking, fight club, and even visiting a karaoke bar. Although the game lacks a multiplayer component like Watch Dogs, it still has online leaderboards to compare scores. Saints Row IV is the fourth title in the series, and it’s yet another engaging open-world action-adventure video game that takes a different approach. You will be playing as The Boss, the President of the United States and the leader of the 3rd Street Saints which is a street gang that has apparently become the world’s most powerful and popular organization, after getting elected. By making use of an arsenal of superpowers and weapons, the player will have to save the world from the sinister alien Lord Zinyak. 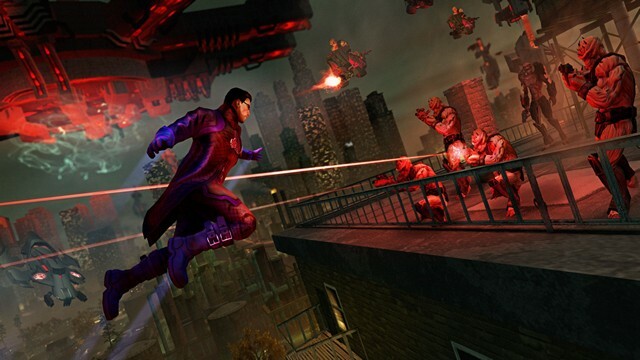 Similar to Watch Dogs, Saints Row IV has a co-op mode that lets you team up with another player and engage the alien invaders. The game is fairly similar to Watch Dogs, except for the fact that you’ll be having superhuman capabilities rather than hacking prowess. This is a critically acclaimed western style open-world action-adventure video game published by Rockstar Games. That’s right, the same developer behind the insanely popular Grand Theft Auto series. This is the second title in the Red Dead franchise, after 2004’s Red Dead Revolver. You will be playing as John Marston, a former outlaw who’s forced to pick up guns after the federal agents threatened his family. He will be seen hunting down the gang of criminals who he once called friends. Players will be fighting for survival in an epic American West and Mexico setting as Marston struggles to bury his dark past. 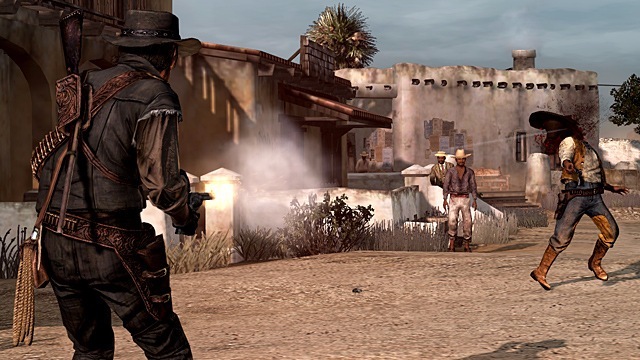 Red Dead Redemprtion is completely unlike any other game featured in this list, but when you compare the open-world characteristics of the game, it’s fairly similar to Watch Dogs and Watch Dogs 2. If you’re a fan of first person shooters, you’ll certainly fall in love with this open-world action-adventure video game developed by Ubisoft Montreal. This is the fourth installment in the hugely popular and critically acclaimed Far Cry series. Although it’s fairly similar to the Watch Dogs franchise in terms of the open-world aesthetic, you’ll not be fighting as a hacker in a metropolitan city. Instead you’ll be playing as Ajay Ghale in Kyrat, a breathtaking, vast and wild region of the Himalayas who’s struggling under the regime of the self-appointed king, Pagan Min. There are two sets of abilities that the player can choose from, namely The Tiger and The Elephant. The former focuses mainly on improving the player’s offensive abilities, whereas the latter focuses on enhancing the defensive abilities. 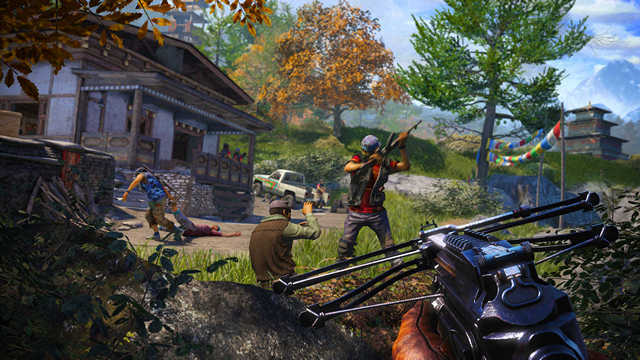 Far Cry 4 also features a two-player co-op multiplayer mode just like Watch Dogs 2, known as “Guns for Hire”. Here, players are totally free to explore the vast open-world as well as hunt down enemies and infiltrate outposts with their friends. That being said, it’s worth noting that the sequel to this game called Far Cry 5 is coming out early next year, in February. The game is set in Hope County, Montana, a fictional place where you’ll have to go all guns blazing against a radical preacher named Joseph Seed. So, if you’re short on cash, you might want to wait until the sequel comes out. Next on the list, we’ve got a PS4 console-exclusive title that’s developed by Sucker Punch Productions. It’s the third installment in the popular Infamous series, and its set in Seattle, Washington. 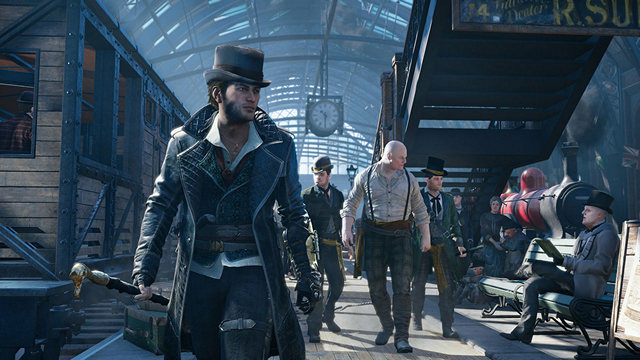 The open-world action-adventure genre is what makes us compare this game to the Watch Dogs franchise. 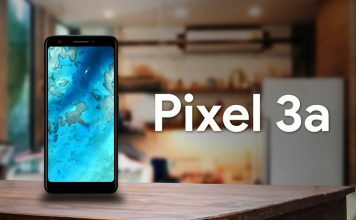 Here, you don’t have the power to hack cellphones, bridges or traffic lights, but you’ve most of the superhuman capabilities that you’ll ever need. That’s right, you’ll be playing as Delsin Rowe, a conduit who can manipulate materials such as smoke, neon, video and concrete. Players can choose to play the character with a good or evil karma, which is one of the strongest aspects of this game. While not playing story missions, players can keep themselves engaged by exploring Seattle and completing activies such as killing D.U.P secret agents and tagging graffiti spots. Next on the list, we’ve got a tactical third-person shooter video game that’s set in an open-world environment, which Ubisoft describes as one of the biggest open-world games that they’ve ever made. The game features a variety of environments such as mountains, forests, deserts and salt flats. The game is set in Bolivia, which has apparently become the largest cocaine producer in the world and has turned it into a narco-state. Your task is to destabilize each of the cartel’s branches as a Ghost. In this game, you can create and completely customize your Ghost, weapons and all the gear. The standout feature of this game is the ability to play the whole game solo or in 4-player co-op. The co-op experience is fairly similar to what you get on Watch Dogs 2. That being said, the visual fidelity that this game has to offer is one of the best we’ve ever seen so far. If you’re a fan of the insanely popular DC Comics’ superhero, you’ll love exploring the open-world of Gotham city in this fourth installment of the Batman: Arkham series. 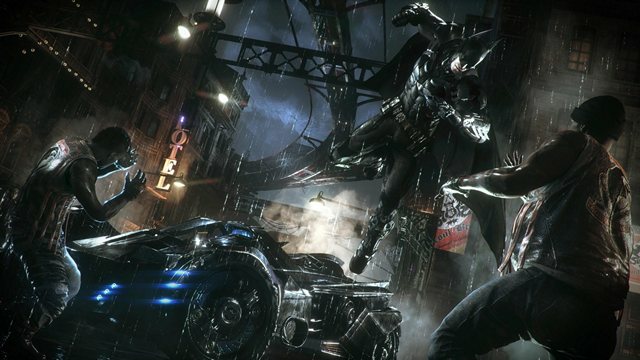 You’ll be able to use every single one of the gadgets that Batman has to offer, including the Batmobile. 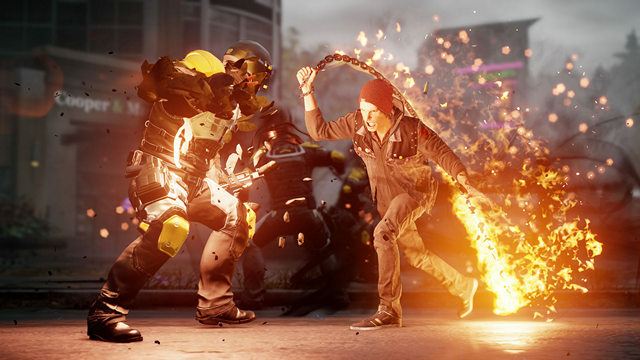 Some of the superhero’s gadgets even have hacking capabilities, which makes the overall experience kind of similar to the Watch Dogs franchise. In this epic finale to the series, Batman will be going all-out against super villains like Scarecrow, Penguin, Two-Face and Harley Quinn in addition to the main antagonist, Arkham Knight. 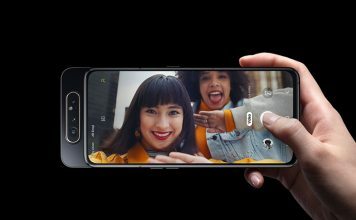 You’ll also be able to investigate crime scenes and reconstruct the crimes in real-time using Batman’s Detective Vision, in order to gather clues and trace the perpetrators. The critically acclaimed combat mechanics is good enough to keep you engaged throughout the game. 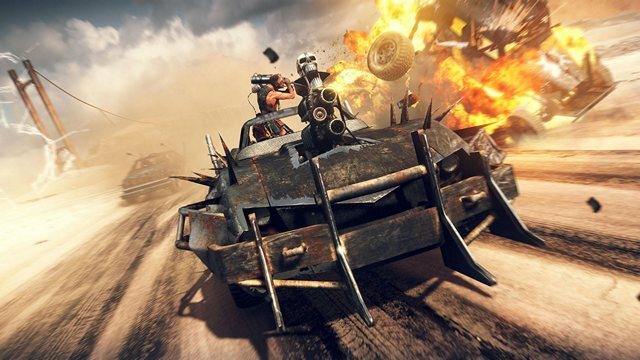 Next on the list, we’ve got an open-world action-adventure video game based on the Mad Max movie franchise. The game is set in a vast post-apocalyptic wasteland that lets you explore through deserts, canyons and caves as Mad Max himself. Cars are the key to survival, and you’ll be using brutal vehicular measures to take down vicious gangs of bandits. Players are challenged with treacherous missions, while they’re scavenging the dangerous landscape for supplies to make Max’s Magnum Opus, the ultimate combat vehicle. The game features dynamic day-night cycle, weather system and a variety of environmental hazards that can even affect the terrain. If you loved exploring the open-world of Chicago and San Francisco in the Watch Dogs series, you’ll be certainly impressed with what Mad Max has to offer. This is an open-world action role-playing video game that’s developed and published by Bethesda Softworks and it’s the fifth installment in the hugely popular Fallout series. You’ll be taking the role of the “Sole Survivor”, who emerges after a long-term cryogenic stasis in Vault 111, which is pretty much an underground nuclear fallout shelter. The player will be exploring a post-apocalyptic wasteland in the year 2287, which is 210 years after the nuclear holocaust that resulted due to the war between US and China over natural resources. 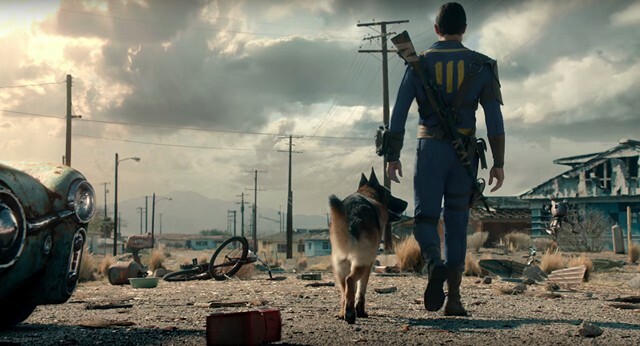 As the Sole Survivor, only you’ll be able to rebuild and determine the fate of the Wasteland. That being said, the game is the winner of over 50 Game of the Year awards, so there are high chances that you might enjoy this open-world game more than both Watch Dogs and Watch Dogs 2. This is the third installment in the Just Cause series and it’s yet another open-world action-adventure video game that manages to keep you on the edge of your seats. 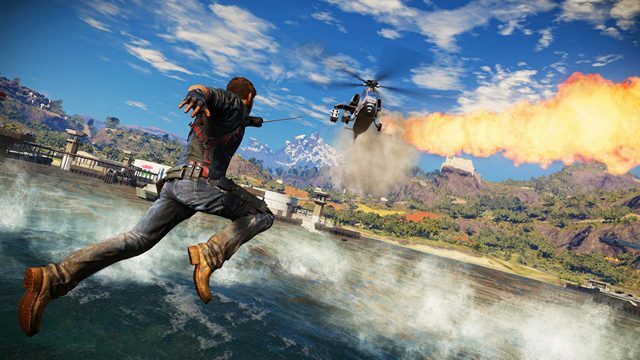 You’ll be playing as Rico Rodriguez while he returns to his homeland of Medici after the events of Just Cause 2. Players will be able to explore the vast Mediterranean island paradise with utmost freedom while Rico takes down Sebastiano Di Ravello’s men who gained control over Medici with his explosive weaponry. The gameplay mechanics are exhilarating, as players will be able to create chains of destruction by tethering objects. Grapple and parachute is another key feature of the game, as it helps a lot in pacing through this gigantic map. 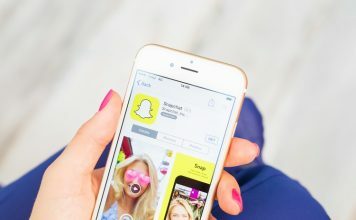 Apart from this, there are several vehicles that you can choose from, including speedboats, jets, helicopters, turbo-fueled sport cars and super bikes. Even if you aren’t an avid gamer, you’ve probably heard of Ubisoft’s Assassin’s Creed games. Well, that’s how popular the franchise is, and this is the ninth major installment in the series. Similar to how you roamed around Chicago and San Francisco in both the Watch Dogs games, you’ll be exploring the city of London, but it’s worth noting that the year is 1868, so expect a retro-style environment. The game primarily focuses on a stealth-based approach, with mechanics well-suited to take down enemies one by one without getting detected. Syndicate lets you control two characters, namely Jacob and Evie Frye to hunt down the Templars and liberate the city. Recently, Assassins Creed games haven’t been fairing well, but Syndicate has managed to fix that to some extent. Apart from this, it’s worth keeping in mind that a newer title is in the works, called Assassin’s Creed Origins which is scheduled to be released by the end of next month. The game is set in Ancient Egypt during the Ptolemaic period, so make sure you wait for this one to hit the stores if you’re short on cash to buy both of these games. This is the ninth installment in the insanely popular Metal Gear Solid franchise, developed by Hideo Kojima and published by Konami. 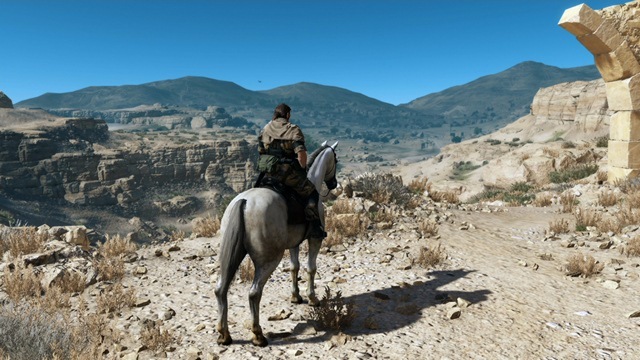 The game is set in 1984, nine years after the events of the previous game, Metal Gear Solid V: Ground Zeroes. You’ll be taking up the role of Punished “Venom” Snake, a mercenary leader who ventures into Afghanistan which is occupied by Soviet and the Angola-Zaire border region to seek revenge on the people who destroyed his forces and came close to killing him in Ground Zeroes. 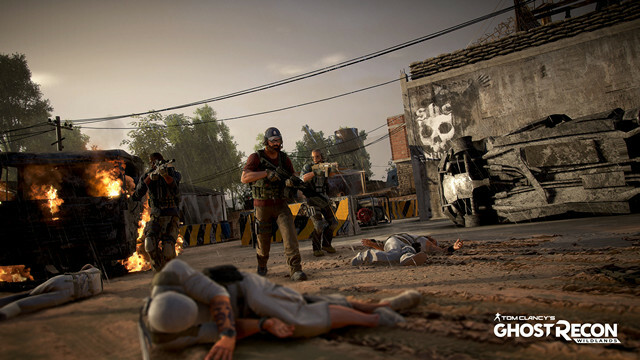 Players will get the “open-world experience” for the first time in the series, as they’re offered tactical freedom to carry out certain missions. The game has achieved critical acclaim for its remarkable storytelling and immersive tactical gameplay. Since this is a continuation of Ground Zeroes, Konami has also released a Metal Gear Solid V: The Definitive Experience which includes both these games. Next on the list, we’ve got an open-world action-adventure video game that’s played from a third-person perspective just like Watch Dogs and Watch Dogs 2. As the name suggests, this is the third installment in the Mafia series. You’ll be taking up the role of Lincoln Clay, a Vietnam War veteran who’s on a quest to seek revenge for his surrogate family who got murdered by the Italian mafia. 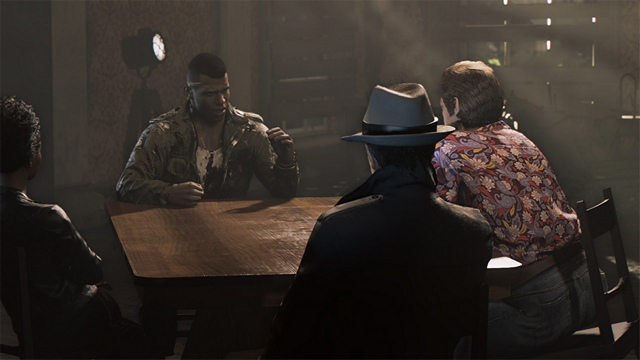 The game is set in 1968 in the fictional city of New Bordeaux, which is a vast open world ruled by the mob. 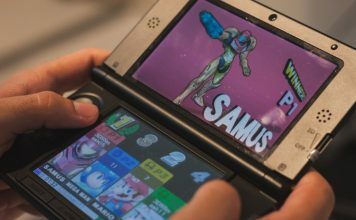 Players are free to choose their own play-style, as they can go all guns blazing or take the slower, yet stealthier approach, to make sure they’re not spotted by the enemies at all. Mafia 3 features cars from the last century with realistic driving mechanics and sounds that keep you on the edge of your seat. Last on the list, we’ve got a game that’s similar to the PS4-exclusive Infamous Second Son that’s featured in this list. 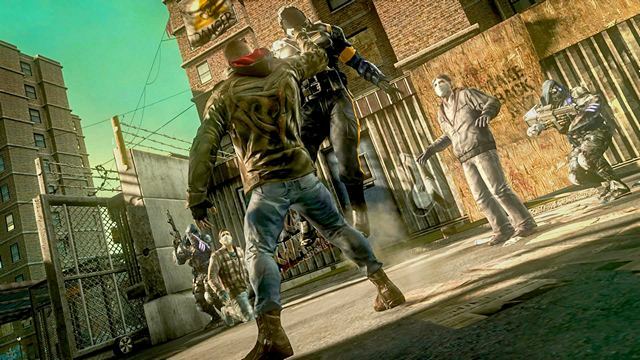 In Prototype 2, players will be exploring the vast fictional New York City, which is now called New York Zero due to the viral outbreak caused by Alex Mercer, also known as, The Prototype. This is quite similar to how you explore Chicago and San Francisco in both the Watch Dogs games. You’ll be playing as James Heller, who’s on a quest to destroy the Blacklight Virus. The story is revenge-driven as Heller wants to kill the Alex Mercer, the protagonist of the original game. Players will have superhuman capabilities as Heller will be able to shapeshift and assume other people’s identities by consuming them. There are certain missions that are selectable which are mostly sidequests or extensions to the main quest. Although the first installment in the Watch Dogs series was pretty mediocre, Ubisoft managed to come back strongly in the sequel as it offered significantly better experience in terms of gameplay and storyline. Well, if you’ve already finished both of these games and you have no clue what to try out next, then these are some of the best games that are fairly similar to the Watch Dogs series, especially due to its open-world aesthetic. So, which one of these games are you planning to go for, and why? Do let us know, by shooting your valuable opinions in the comments section down below.